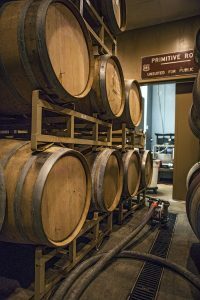 Tucked away in the sprawl of Phoenix, Ariz., in one of the least likely places, you’ll find Arizona Wilderness Brewing, an upstart rated #1 by RateBeer.com in 2013 as the best new brewery in the world. Not only is this tiny place one of the best new breweries, it is different than anything you’ve seen. I was the first person other than the master brewers at Arizona Wilderness Brewing to taste the new locally foraged beer, a delicious sour. 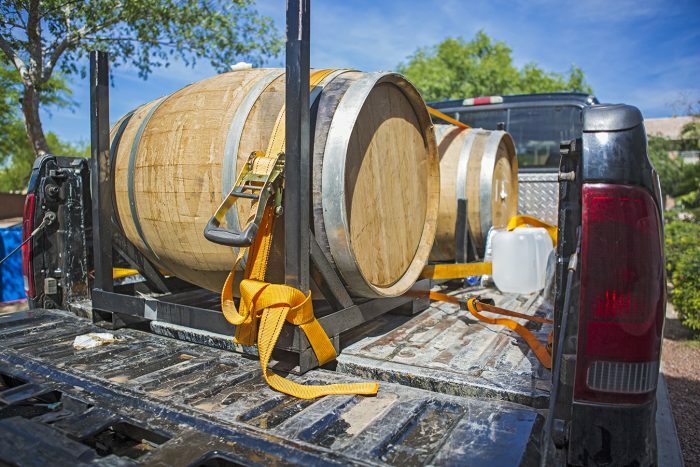 As I was tasting beers with one of the brewers at AWB, Patrick, the brewmaster, parked his truck in the back after just having driven back from the Mogollon Rim with two barrels of their latest concoction. “We drove the beer up to the high country, where we moved the wort to an open air cooling tank to become micro infused with local pollens and yeasts. It’s not cool enough for that here in Phoenix, but the mountains north of us are great for it.” Patrick said. Patrick literally drove two barrels of beer two hours north of Phoenix so that the freshly brewed liquid could cool down over night. 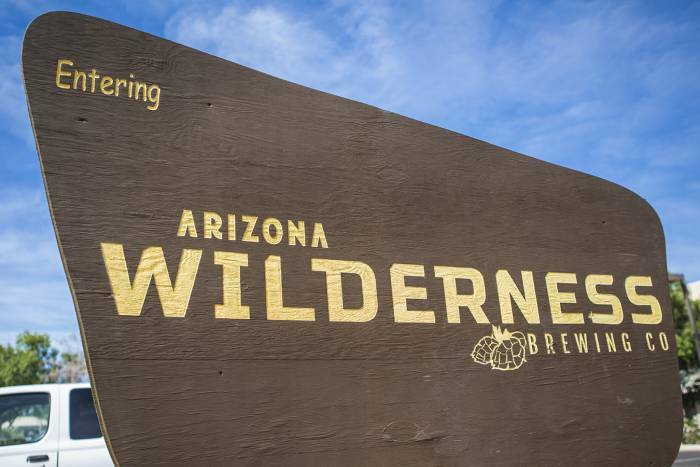 It doesn’t take long, just a quick glance at the many healthy beards in fact, to see the “wilderness” component of Arizona Wilderness Brewing is no marketing gimmick. The wilderness is at the core of their beers, literally. The wilderness is not just an inspiration for the many award winning beers brewed here, wilderness is an ingredient. Imagine this, the brewmasters here contact their field scouts, several friends in the Arizona hiking community, to see what kinds of plants are blooming, what fruits are ripe, and along which trails, then they go hike and fill their backpacks with foraged items. 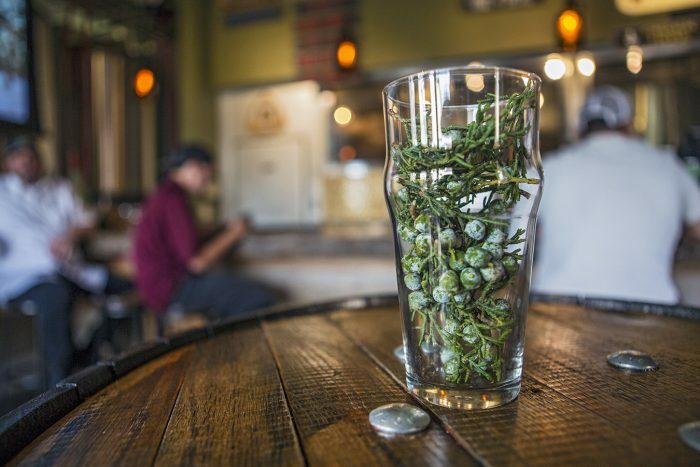 That’s right, Arizona Wilderness Brewing incorporates true foraged items, ranging from creosote flowers, to various berries, to the yeast and the hops, into their regular “foraging-series” of beers. In this particular case, there were six people out in the desert outside Phoenix picking wolfberries for three hours in order to get two to three pounds of berries. “It’s not very efficient, but it’s delicious.” Chris said with a smile. And the beer world has taken notice. They have won many prestigious beer awards and are regularly consulted by the world’s best brewmasters about their techniques and ingredients. It is an unconventional way to do business. With the notoriety they have received, there have been a slew of investors that they have turned away. Their goal is not to get bigger, or increase distribution, but simply to make the best beer possible and get Arizonans really involved with their beers. In fact, they don’t even distribute beyond the tap room in Gilbert, Ariz. You cannot find their beers stocked on the shelves anywhere. The methods they employ in the process, mostly the local sourcing of organically farmed ingredients or the foraging of wild ingredients, don’t allow for large scale production. 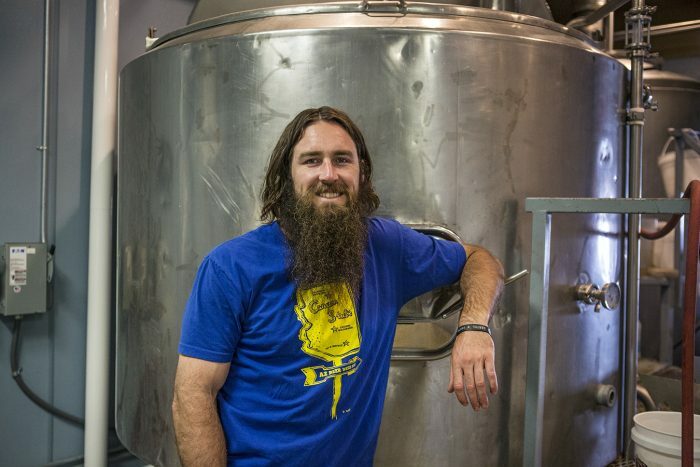 And the guys behind Arizona Wilderness Brewing want to keep it that way. If they were to mass produce, they would have to change their ingredients and the way they brew. And they are not willing to make that compromise. Close to 100 percent of their beer is sold out of the tap room at Arizona Wilderness Brewing. They do not distribute, the only way to taste the beer outside of Phoenix is to catch them at a beer festival. So if you are a beer lover, put this one on the top of your brewery tour.